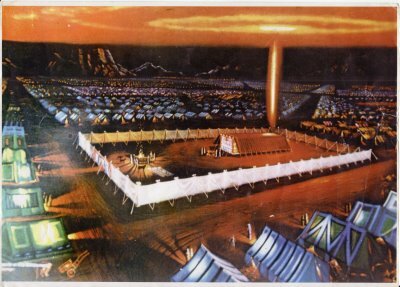 As long as the cloud rested upon the tabernacle, Israel stayed where they were camped (Numbers 9:18), but when the cloud moved, they journeyed (Number 9:21). The message is that the Lord is aware of us and will give us personal direction in our lives. When we listen to his voice, we are able to place ourselves in locations where He can use us. We find that we are more attuned to His voice and able to respond to His call, thus becoming more useful to do good. There are many examples of this, from the simple everyday experiences to the more dramatic, lifesaving kind. There have been times in my life when I have felt the need to move to a new location, seek specific employment opportunities, and the like. I believe that the Lord will assist us in making correct decisions when we seek Him and strive to listen to the whisperings of the Spirit. We examined simple situations and examples where young people received revelation. We then looked at a couple more concentrated examples. When Ken was twelve or thirteen years old, he once accompanied his father to the local trash dump. His dad was driving their truck, and Ken was sitting on the passenger side, near the door. As he was looking out of the window, he had a feeling that he should move away from the door and sit next to his father. He ignored the feeling; but it came again so strongly that he immediately slid away from the door. A few moments later, when his father made a turn, the door that Ken had been leaning against flew open. He didn’t think much about it at the time; but later, when he came to recognize how the Spirit operates, he realized that he had been saved from serious injury or death by his Father in Heaven. Ken had another spiritual experience when he was sixteen. His family had moved from Tooele to the small town of Grantsville, about fifteen miles away. However, Ken kept his job at a clothing store in downtown Tooele. Early one summer morning, as he approached the outskirts of Tooele, he had s feeling that he should drive over by the high school. The high school was not on his way to work, and he had no idea why he should go there; but he decided to respond to this feeling, and he drove toward the school. As he drove slowly by the front of the school, he didn’t see or hear anything out of the ordinary. He felt a little puzzled, but decided to turn left toward town, since it was time for him to get to work. Before Ken could turn, however, he received a stronger impression that he should turn right, not left, and that he should go behind the school. He followed the direction, but still didn’t see or hear anything that would cause any concern. As he went to pull out from behind the school, Ken heard an actual voice telling him to drive to the far end of the parking lot, next to the football field. The football field was located on top of a hill. Steps led up to the playing field and to the bleachers. Behind the bleachers the hill sloped down, and the field was surrounded by a chain-link fence. 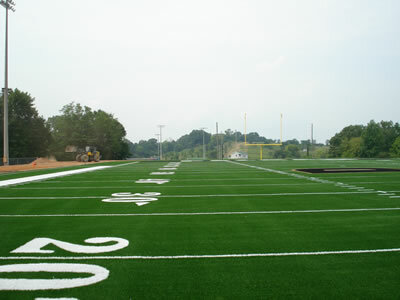 Ken drove past the football field, to the end of the parking lot, and started his return trip. As he rounded the corner of the parking lot, still seeing nothing of any consequence, he saw a body lying by the chain-link fence. Ken now knew why he was there, but the sight of the body really frightened him. He had no idea who it was. He jumped out of his car and sprinted to the entrance of the football field, up the stairs, and across the field. As soon as he had dashed partway down the hill, he recognized the person lying there as his best friend. His friend’s head, neck, and shoulder were covered with blood, and he was lying motionless. When Ken saw his friend in this condition, he almost went to pieces. He thought the boy was dead. Then a calm feeling came over him, and he approached the inert body. As Ken turned him over, his friend stirred and looked up to him, and Ken realized he was still alive. His friend was in a very dazed condition, as if he was just coming out of unconsciousness. Ken picked him up, carried him to his car, and rushed him to the hospital. He was afraid that he might die if he left him alone while he went for help. Much later, when he had regained consciousness, the friend told Ken what had happened. He had been working with two other men, clearing weeds and debris from along the fence. The two men had left to take a load of junk to the county dump. He was left alone. As he had continued to clear the fence, he had encountered a large rock that he could not budge. He grabbed a pick and took several swings at the rock, but it stubbornly refused to move. He then took an extra large swing with the pick, but the tip struck the chain-link fence and the pick turned sideways in his hand. Instead of hitting rock, the end of the pick hit him in the back of his head and opened a large wound. The doctor said that the wound was severe enough that, if Ken had not come along, his friend might have bled to death before his fellow workers returned. Don’t go through the alley! The summer after I graduated from high school, I took my first full-time job as a teller at a small thrift and loan office in Santa Monica, California. One morning two employees were sick, leaving only Jon, the manager, and me in the office. One of my usual morning duties was to take the deposits from the previous working day and walk them through the back alley to the bank. This particular day, Jon suggested that I take them over in the afternoon when he’d be able to cover the teller line for me. I stopped abruptly. The thought puzzled me, because the walk was much shorter through the alley and I always went that way. In a quick decision I thought, “Well, all right,” and turned to walk toward Fifth Street, thinking it would be a nice change of scenery anyway. I made it to the door of our small office several minutes later than usual, hoping my boss wouldn’t give me a bad time for taking too long. Mr. Reed’s voice was shaky as he replied that the office had just been robbed! Apparently, as Mr. Reed had walked in, the thief had demanded what little money he’d had before running out the door. After Jon completed the police report, he gave me an account of what had happened. He had been alone in the office when a man wearing a ski mask and holding a gun came to the counter demanding cash. He became very angry upon learning that most of the cash was en route to the bank. The robber had then forced Jon into the back room near the alley door, which we always kept locked, and jerked him angrily to the floor. Then he had shoved his gun against Jon’s temple and yelled profanities before finally deciding to leave. As Jon told me this, a sudden calm enveloped me. In my mind I replayed the alley scene and realized I had received a divine prompting at the corner of that alley from a loving Heavenly Father. Jon was somewhat of an atheist, and when I told him why I had changed my route that day he called it lucky or coincidental and then conceded that perhaps someone was looking out for us. I knew it went way beyond luck or chance. The scriptures give the promise that if we are worthy, “The Holy Ghost shall be thy constant companion” (D&C 121:46) and “will show unto you all things what ye should do” (2 Ne. 32:5). 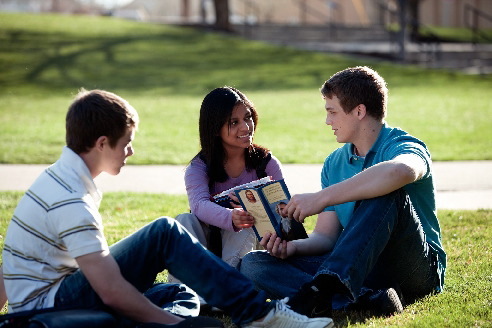 This entry was posted in Miracles, Old Testament, Receiving Revelation and tagged applying the scriptures, choices, doing good, LDS seminary, LDS youth, listening to the Spirit, Old Testament, relevance of the scriptures. Bookmark the permalink.